I’ve moved for work a lot and I’ve seen various types of movers, but California relocation systems seemed a bit different. Although I received a lot too-good-to-be-true offers, lower moving estimates, only they seemed honest and reliable. And choosing them was the right decision after all. At this point I could not recommend them more highly. 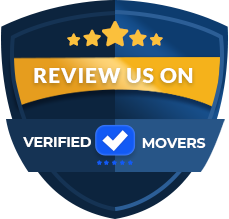 From the first contact they were professional and polite and the movers did a fantastic job packing and moving my belongings. Everything went according to plan, there were no unpleasant surprises, delays or inconveniences. They are the best service providers I’ve ever met. I will be recommending them to everyone! I read a lot of positive testimonials about California relocation systems and I decided to trust them with my move to Dallas. In spite of all odds, my interstate relocation was a smooth experience. 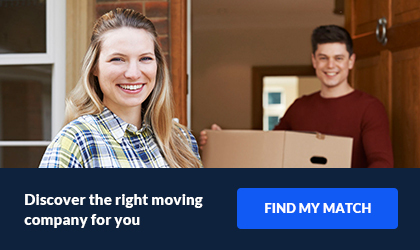 As it was up to me to choose a moving company that offers a reasonably priced service, I did my homework by performing a thorough research. Since I was moving with my kids I couldn’t take chances with some random company. Luckily, they moved all my belongings safely and efficiently, even the most delicate items survived the move. Everything was delivered without a single scratch, safe and sound. Great move with California Relocation Systems. They moved my parents and I from California to Colorado. Since my parents travel often, and I work more hours than most, we needed extra help with the move. I needed to have a company pack the entire house, garage and shed. California Relocation offered us the best price and did it efficiently. They were able to come to our home to give us an estimate and we are happy that we went with this company. They went above and beyond for our move. We would use California Relocation Systems again. I had a great moving with California Relocation Systems. I did have a slight disagreement with one of the customer service care people. Other than that, everything went very smoothly. They arrived on time, did not damage my house and got everything dont in a timely manor as well. I was shocked that they did everything to my standards, as well. I would use them again and have also recommended them to one of my close family friends. Edit: Everything arrived at delivery in one piece. They had thought they misplaced a box, but it was in their warehouse and it was delivered. Updating review to 4 stars. I would still use them again. At California Relocation Systems, we are passionate in the pursuit of excellence. 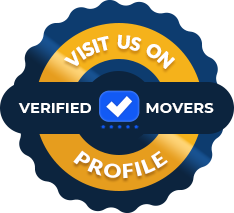 From your first interaction with one of our certified moving consultants to your last interaction with one of our pro certified movers. Our goal is to turn the stress of moving into a one of a kind, incredible customer experience. Each one of our moving consultants must pass a three page written test and must accompany our crew on a live move. We believe communication and transparency are vital to the company’s success. All of our pro certified movers must pass a physical and a drug test. Our culture is second to none. Each employee understands our customers are the lifeblood of the company. We under promise and over deliver on every move. Here at California Relocation Systems, we want to ensure that you remain happy and at ease. If you are moving down the street or across the country, we have your best interest in mind. Let us know what you expectations are and we will meet them. We offer long distance, state to state and white glove moving. Are you wondering what white glove moving is? Great question! California Relocation Systems will do everything for you, perfectly! We will pack all of your belongings and make sure they are safe and secure. We also offer storage services. If you are not ready to have your delivery just yet, you might want to opt into this. We will drop your items off at our facility, in which we control the climate. Your belongings will be safe and sound until you are ready. Just let us know when you are! You do not need to feel like you are breaking the bank here at California Relocation. We will provide a helping hand to you all the way until the move is complete!